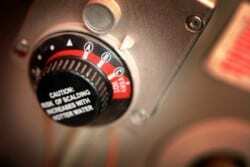 Hot water heaters are one of those forgotten appliances, however it is one that we rely on every day. 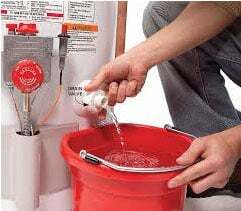 Water heaters can last for 10+ years if it is properly maintained. 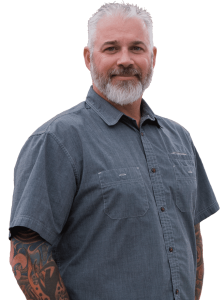 By following a 3-step annual maintenance plan, it can help to significantly extend the life of your hot water heater. Setting it to the 120 degree temperature will protect the tank from overheating and will also reduce the energy/gas used to heat the water. The temperature and pressure relief valve is critical to safety and proper operation of the tank. To test the valve simply lift up the lever part way (as seen in the picture to the right), let go and allow it to snap back. You should hear a gurgling sound as the valve is allowing some water to be released into the drain tub. 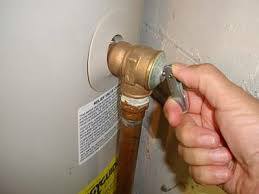 If you do not hear this sound, that means the temperature and pressure relief valve is bad and needs to be replaced. Removing the sediment from the bottom of the tank is important. It helps to prevent rust, corrosion, and also improves efficiency. Doing a full tank draining and flush is best, however it is a lot of work and requires shutting down the water heater. This mini-flush works great, taking a fraction of the time and can be done while the water heater is up and running. Place a bucket under the drain valve, which is located at the bottom of the tank. 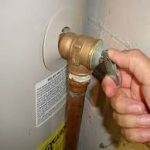 Each hot water heater will be different when it comes to the type of handle they have on them. Some may have a handle, a plastic o-ring (see picture to the right), or a short handle-less stem with a slot for a flat-head screwdriver. 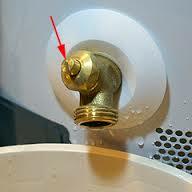 Turn the handle, ring or screwdriver to open up the valve allowing a few gallons of water to empty in to the bucket. Then close the valve and you are done. This helps to remove whatever sediment is at the bottom of the tank. Taking a bit of time once a year to do these 3 simple steps, will help to extend the life of your tank. 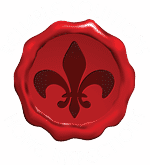 ← Does your roof have hail damage?